One of my mom’s friends gave us a box of pears for the holidays, so we made some pear tarts. 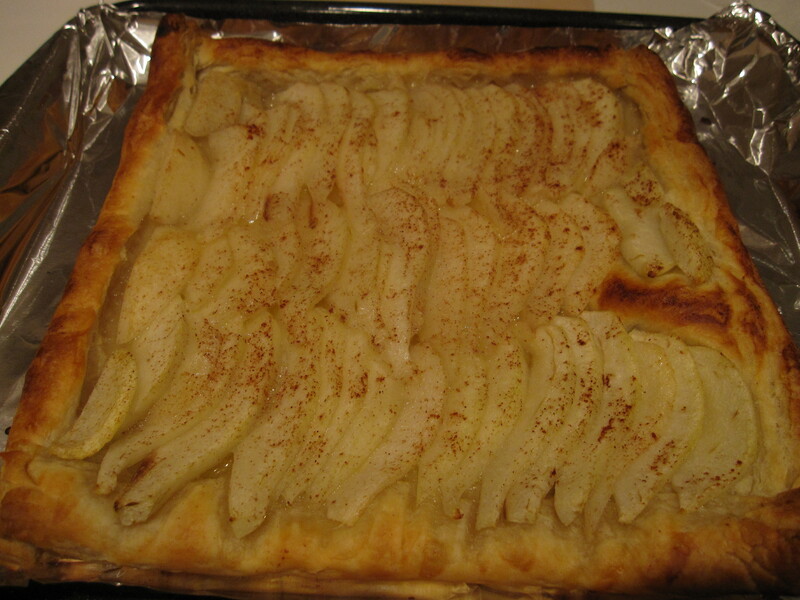 Thawed one of those Pepperidge farm frozen puff pastries for 40 minutes, placed sliced-up Bosc pear slices on the pastry in an overlapping fashion, and sprinkled a tablespoon of sugar and dashes of cinnamon evenly over the slices. 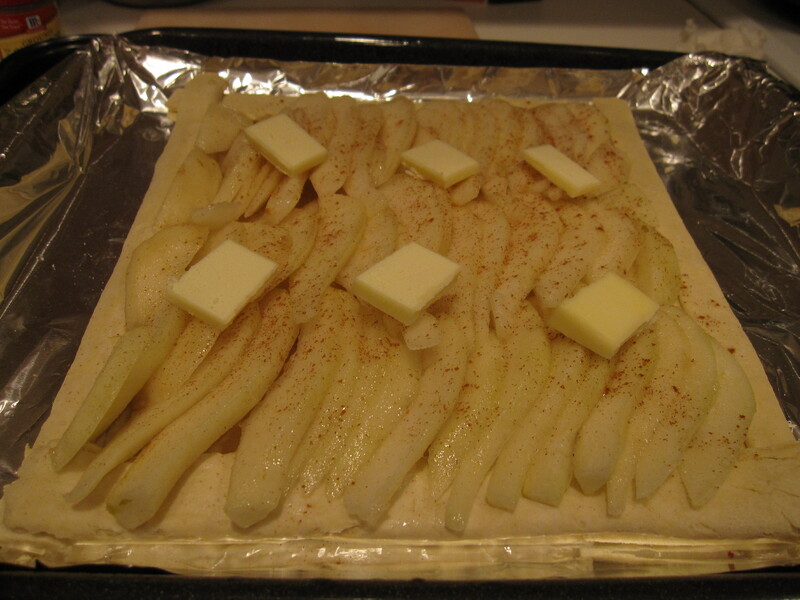 I placed 1 tablespoon of butter over the slices, but this step is not necessary – I just see some of the TV chefs do it sometimes. Bake at 375 degrees for 25 minutes. And viola!